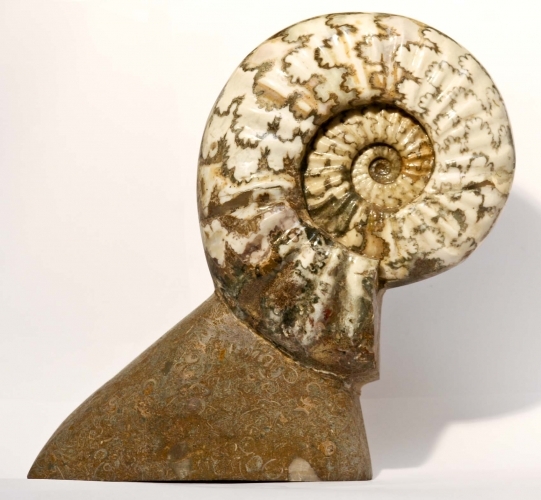 Spectacular Aegasteroceras ammonite from Scunthorpe, North Lincolnshire, UK, standing on its Frodingham ironstaone base. The fossil, which is 200 million years old, has been worked away from the natural ironstone matrix front and back and polished to expose the exquisite calcified interior. Creams, browns and greens feature in this highly desirable fossil which could rival any piece of sculpture. 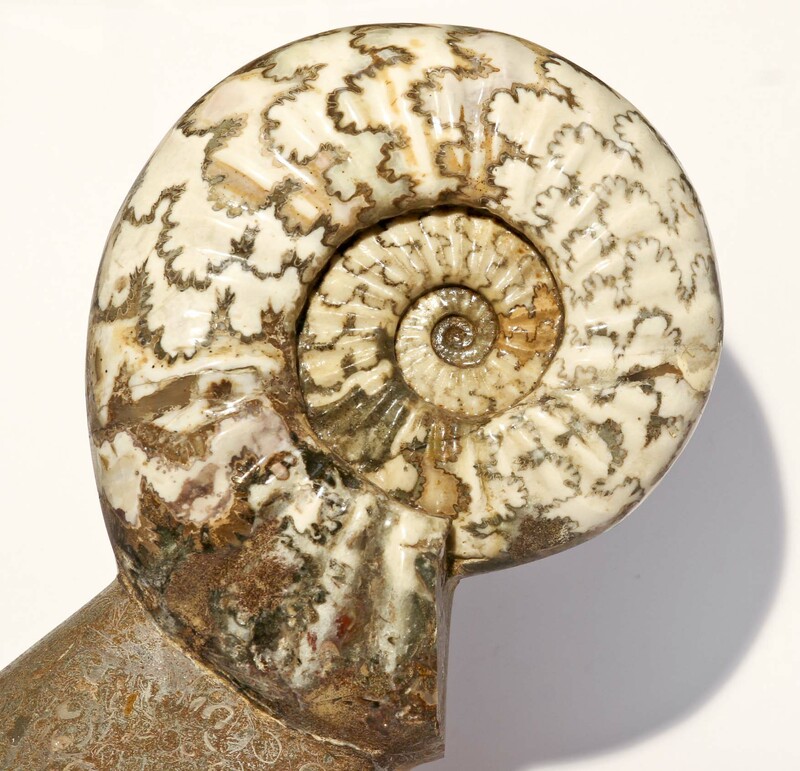 The ammonite is 19cms in diameter.